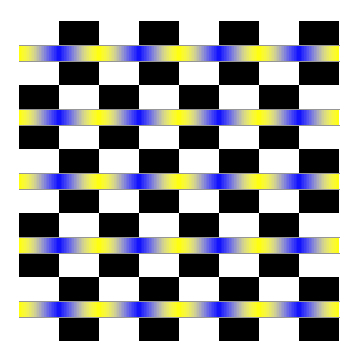 The first and third rows appear to move leftward while the second and fourth ones appear to slide rightward. 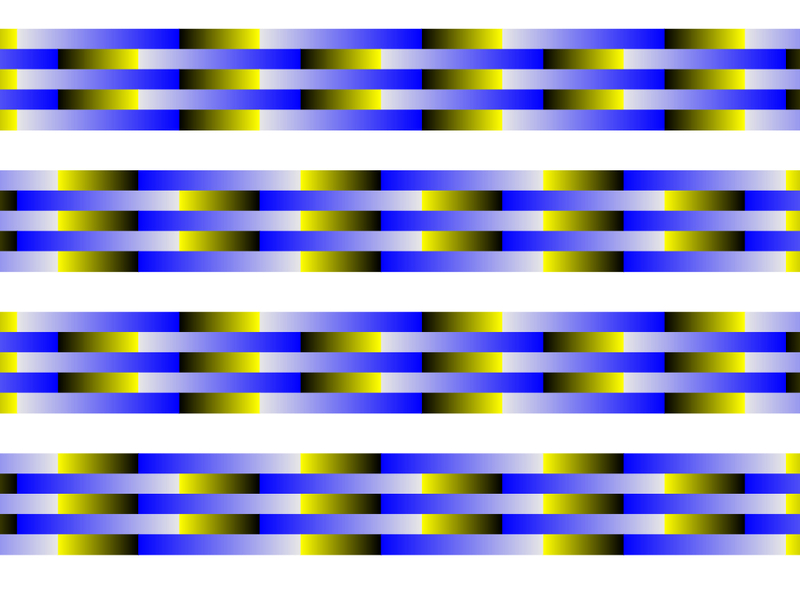 The blue-and yellow gratings appear to move laterally. 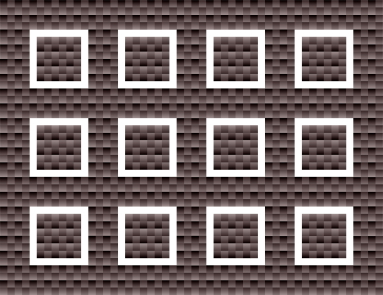 The gray lines flanking the gratings are parallel but appear to tilt. The insets appear to move upward. If the image size is small, a geometrical illusion appear where white square contours appear to be distorted. The blue inset appears to move. For those who wear glasses, try to swing them. 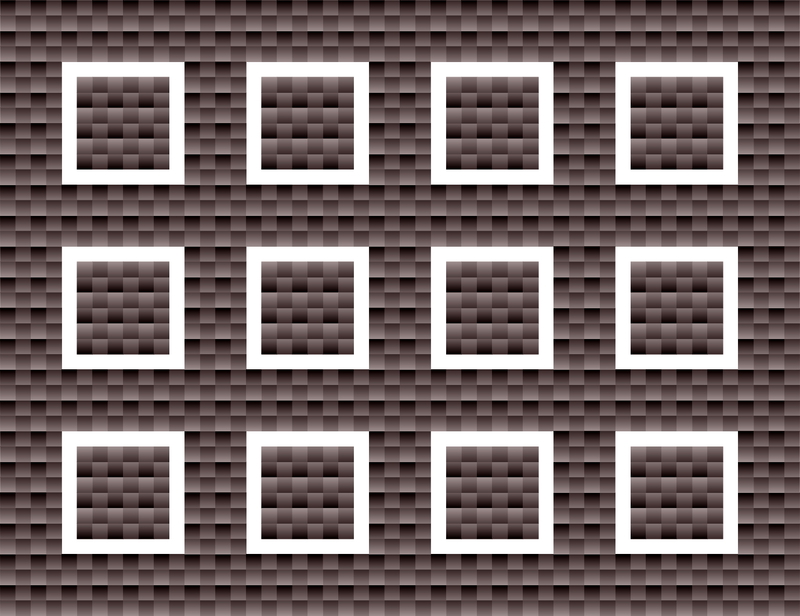 Rows are parallel but appear to tilt clockwise (top, center, bottom) or counterclockwise (the rest two), which is the Zöllner illusion. Moreover, anomalous motion illusion is observed, too. The image appears to move a little. Maruboro are cockies for babies in Japan.